Many people need to present a DVD in PowerPoint slide, which may make presentation much more entertaining and informative. To embed DVD in PowerPoint means inserting a DVD clip physically into an application so that it can play within the presentation. In most cases, embedding DVD in PowerPoint will end in failure. 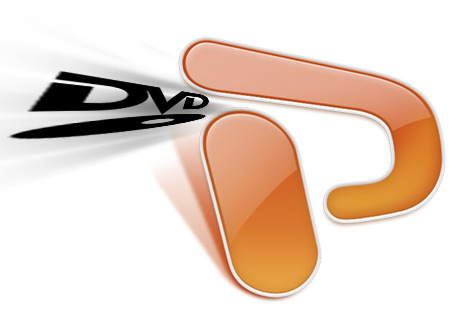 For PowerPoint is not compatible with DVD and it only embeds few video formats including ASF, AVI, MPEG, and WMV. Could nothing be done to successfully play DVD in PowerPoint? In fact, there are many ways to solve the above problem. One of them is to install plug-ins like Onstage DVD or SpinWare iControl PE. But this kind of plug-in is expensive and has very limited capabilities. Another preferable way is to convert DVD to PowerPoint compatible video format so as to successfully embed DVD in PowerPoint. In this way, there is even no need to have the DVD in computer's DVD player at the time of the presentation. In this way, you can also realize inserting only desired DVD clips, chapters, segments to PowerPoint instead of the whole DVD. The following guide will show you how to convert DVD to PowerPoint supported format and how to successfully insert and embed DVD in PowerPoint. 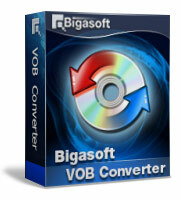 Download the free trial version of Bigasoft VOB Converter (for Windows , for Mac ) install and run it. Go to main interface of Bigasoft VOB Converter, click on "Open DVD" button to choose "Open DVD..." or "Open DVD Folder..." to select the DVD file which you want to be ripped. Click the small triangle to the right of Profile , a drop down menu will pop up, then select PowerPoint compatible video format like MPEG-1 Movie (*.mpg) . Tips: Though ASF, AVI, and WMV are also compatible with PowerPoint, MPEG is more preferable. For this video file can be played on both PC and Mac, while others can only be played on PC. If you use a Windows, you also can select General Pocket PC Video (*.wmv) or AVI - Audio-Video Interleaved (*.wmv) from the drop down menu. If you use a Mac, you can also select MOV as output video format. Press "Settings..." button, a setting box will pop up, select wanted resolution like 640*480 from the drop down list of "Resolution". You may also select lower or higher resolution according to your specific needs. Uncheck before the DVD chapters or titles that you do not want to include in your presentation. If only need some segment of a chapter, select this chapter, and then go to trim button to set the start time and end time of your wanted segment. If need to merge the selected chapters into one, just check the "Merge into one file" box. Press "Start" button to start and finish converting DVD to PowerPoint supported video format. In order to insert and play DVD in PowerPoint successfully, the first thing to do is create a folder, and put both your converted DVD and your PowerPoint presentation in this folder. Then open your PowerPoint presentation in this folder. Click on Insert tab and select Movie, You will now be seeing a pop up box, where you need to search for the converted file in the folder you have just saved it in. Then select the file and add it. You will be prompted for the media playback preferences - automatically or when clicked. Select the option you wish to use. On the Insert menu, point to Movies and Sounds, and then click Movie from File... to embed the converted DVD just as in PowerPoint 2007. 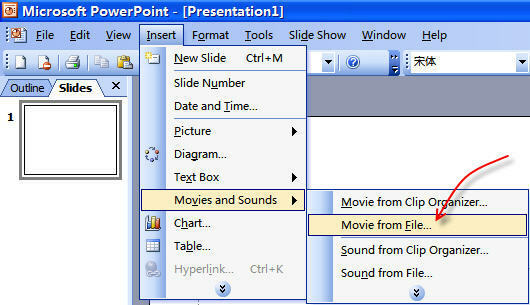 With the above guide, you can easily play DVD in PowerPoint 2007 and 2003. Moreover, you even can insert DVD in PowerPoint 2000, 2002, 2005, 2010 or even PowerPoint 95, 97. Besides converting DVD to PowerPoint supported video format, the above powerful VOB converter can also convert DVD to MP4, MOV, WMV, and MPG etc. Just playback DVD on iPod, iPhone, Apple TV, Zune, Xbox 360, PSP, PS3, Archos, iRiver PMP Player, Creative Zen, PMP, general MP4 player, Pocket PC, PDA, Smartphone, mobile phone and more, or import DVD to iMovie or Microsoft Movie Maker for editing. Enjoying DVD and Saving DVD discs is just so simple.